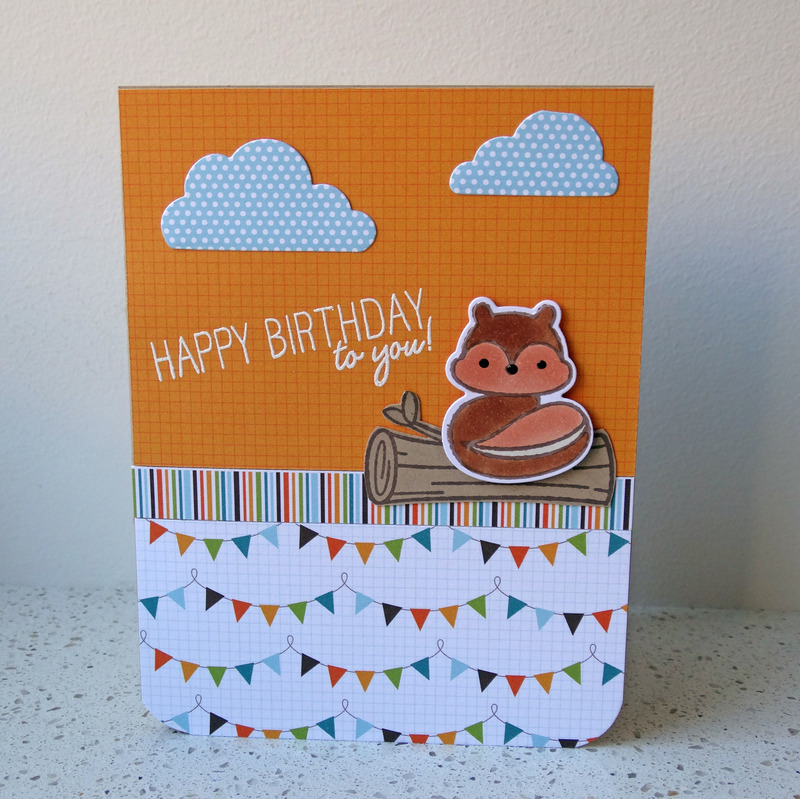 I have quite a few of Lawn Fawn’s critter sets (they’re so adorable and perfect for kids’ birthdays!) 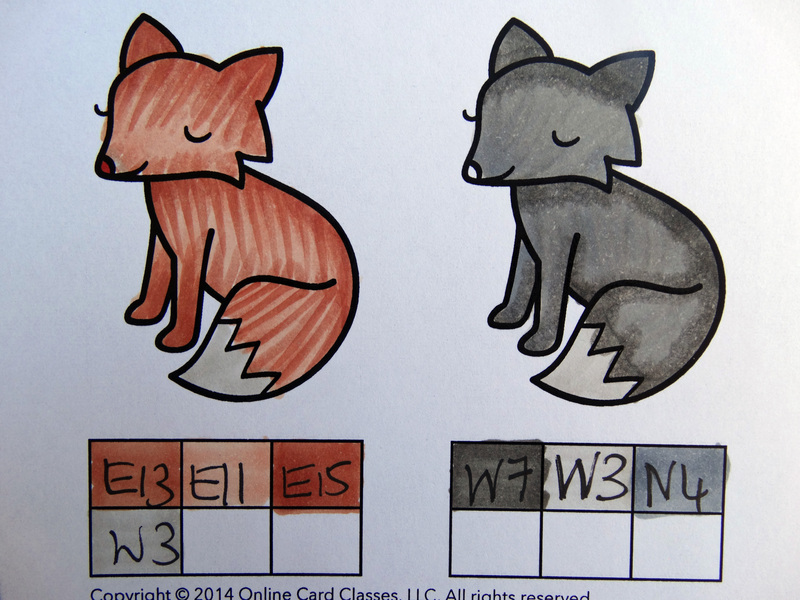 and so I was really excited about this lesson in the Online Card Classes Copics course. I did the homework over a week ago but just haven’t had a chance to post it until now. 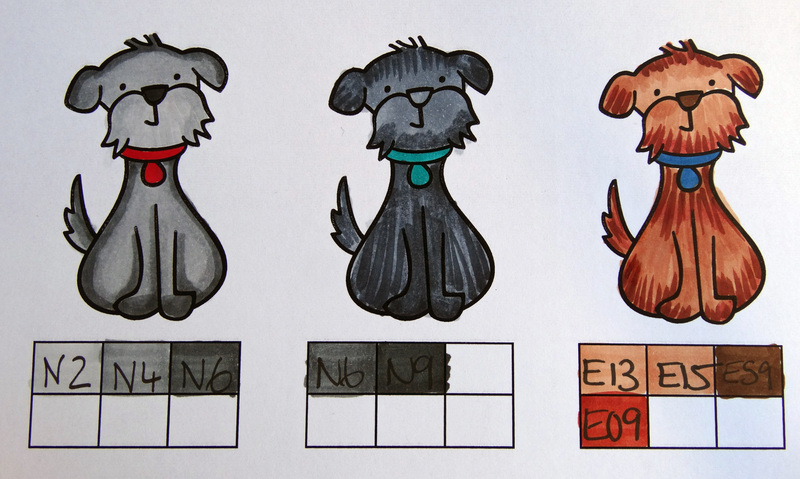 I coloured the dogs and foxes using techniques that both Kelly and Sandy demonstrated – I want to keep working on the long fur/short fur flicking technique! With two young boys and birthday parties to attend I’m always needing cards for their friends so thought I’d take advantage of my few days off work to make some for the next couple of months. I stamped and coloured a batch of various Lawn Fawn Critters (so much fun!) and then used the Into the Woods 6×6 paper pack to make a number of bases for the cards. I love how the designs in the 6×6 pads are scaled down to suit card sizes – they work so well! 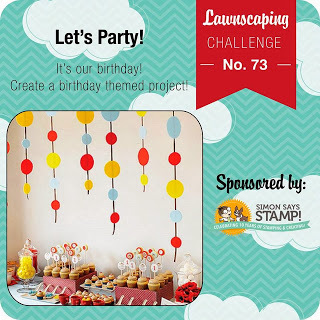 I’d like to wish the Lawnscaping Challenge team a very Happy 4th Birthday! I’m entering the above card in their birthday challenge.